Written by Lewis Carroll (the pen name of a socially shy Oxford University mathematician called Charles Lutwidge Dodgson), and originally published in 1865, one of my favourite childhood novels was Alice's Adventures In Wonderland (or Alice In Wonderland, to call it by its nowadays more commonly used shortened title). As is universally known, it was based upon an impromptu story told by Carroll to family friend Dean Henry Liddell's three young daughters one summer afternoon in July 1862 while he and the Reverend Robinson Duckworth were taking them on a rowing-boat ride along the Isis river (part of the Thames) not far from their home. One of the children was Alice Liddell, aged 10 at that time, whom Carroll made the heroine of the story after she'd asked him to tell them one that featured her in it. 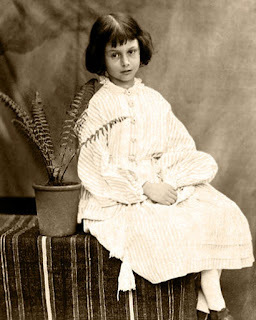 At the end of their boat ride, Alice begged Carroll to write the story down for her so that she would always have it, and so that same evening he duly began drafting out what would become three years later one of the best-loved children's novels of all time. 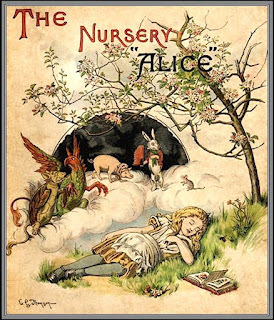 Moreover, it would be followed in 1871 by an equally popular Alice-starring sequel, Through the Looking-Glass and What Alice Found There (which I actually liked even more than the first novel). 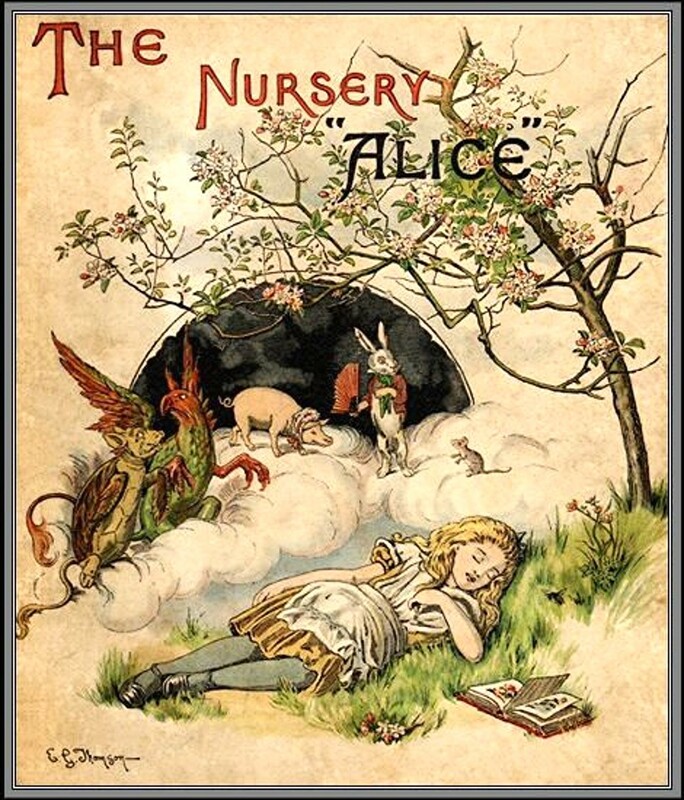 Very fond of literary nonsense, witticisms, riddles, puns, and other word play, Carroll included many such examples in both of his Alice books. And as someone who read them countless times as a child and has always derived comparable pleasure from verbal drolleries, I greatly enjoyed spotting and making sense of them. 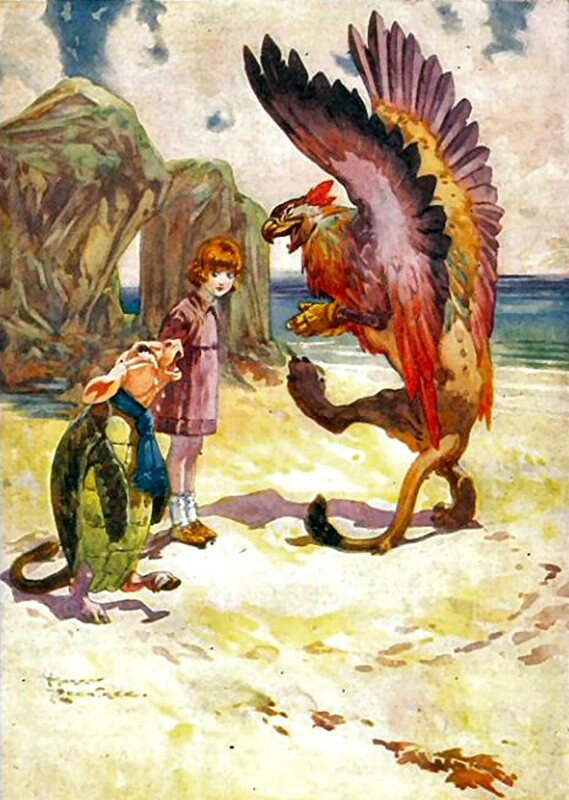 However, there was one example that not only delighted me due to the fact that it concerned a seemingly fictitious creature that I'd never heard of before (even as a child, mysterious monsters and mythical beasts always fascinated me – clearly a cryptozoologist in the making! ), but also had long mystified me. 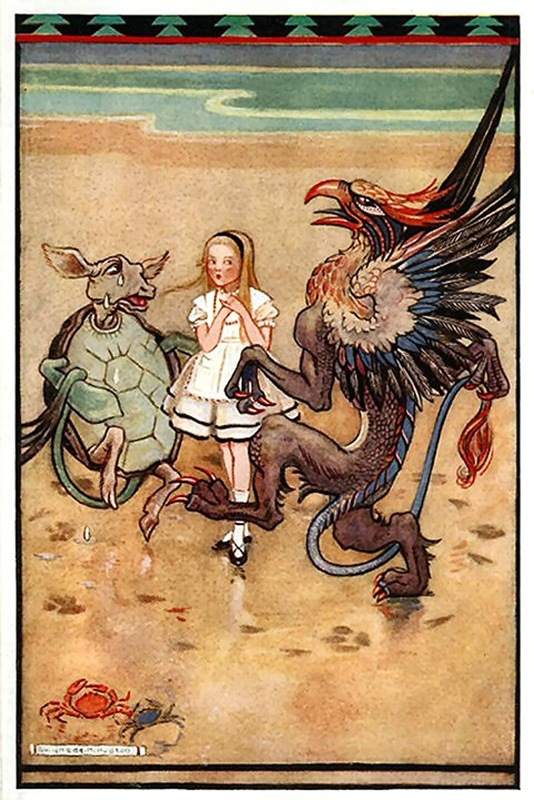 This was because I felt quite sure that its unusual name and even more unusual form embodied more significance than I had perceived as a child, yet I couldn't decide just what that significance might be. Appearing towards the end of the first Alice novel (or AAIW, for short, as used hereafter in this article), in tandem with an example of that very famous legendary beast the griffin (or gryphon, a more classical spelling, used by Carroll in that book), the perplexing creature in question was referred to by Carroll as a mock turtle. 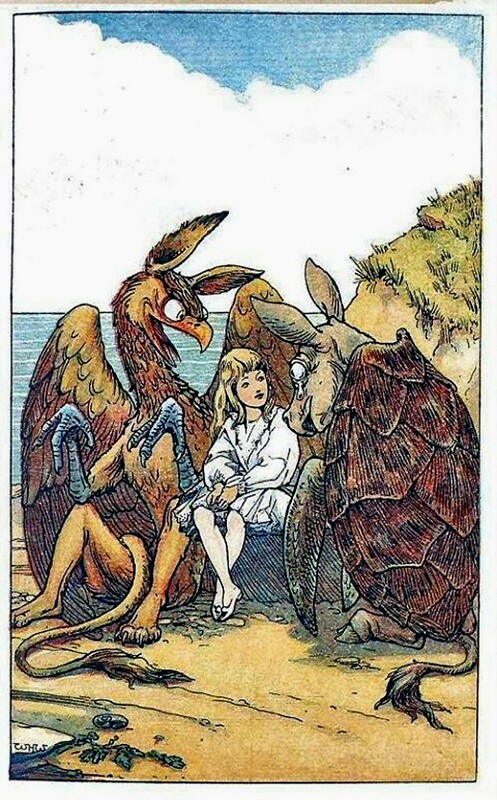 In Tenniel's drawings, the Gryphon was depicted in typical griffin form, as a composite of eagle and lion, deftly amalgamating the beaked head, taloned forelimbs, and plumed wings of the former with the furry body, clawed hind limbs, and long tuft-tipped tail of the latter. 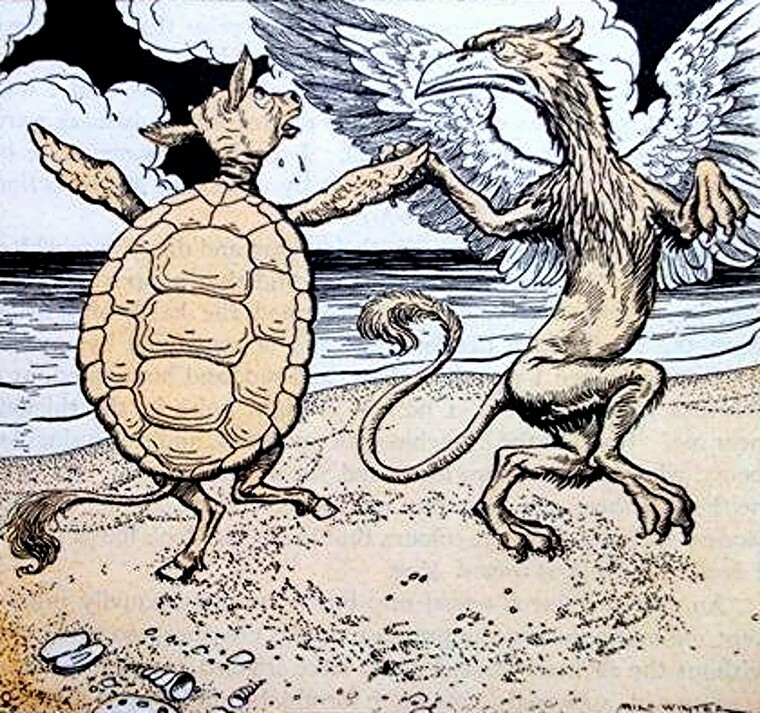 Conversely, whereas the Mock Turtle also appeared to be a composite creature, it did not resemble anything known to me from either fable or fact. 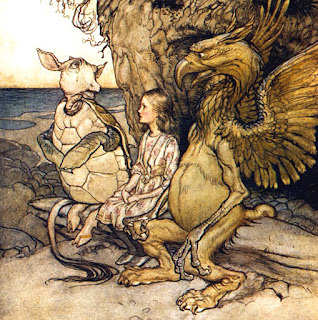 Nor had I even heard of a mock turtle before. 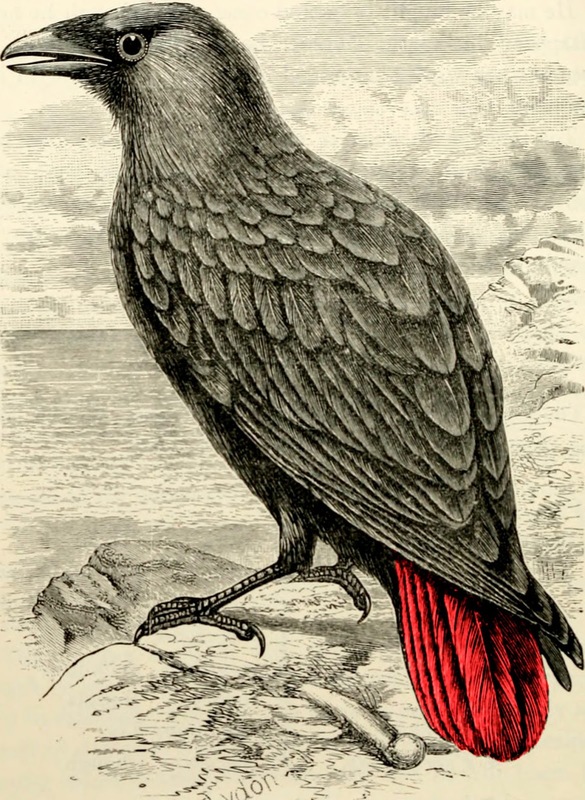 Evidently, therefore, I reasoned, unless it were an exceedingly obscure mythical beast it must have been one of Carroll's own inventions, but what had inspired him to fashion it in the extraordinary form that he had done, and where had its very distinctive, memorable name originated? These were the two questions that puzzled me for so long (back in those now far-distant days before the information super-highway of the internet had come into being!). 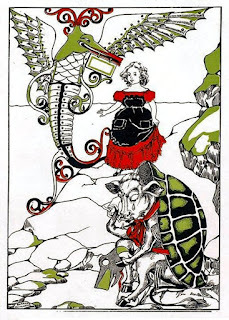 Neither had I, but nor had I ever heard of mock turtle soup either, so I had assumed that this too was just another Carrollian invention. Many years later, however, I finally stripped bare the mystery surrounding the 'mock' moniker, and uncovered at last the truth behind this very tantalising turtle. It turned out that mock turtle soup was actually a bona fide dish, an English soup originally created during the mid-1700s but very commonly served in Victorian times. It earned its name from the fact that it was actually a cheap substitute for genuine turtle soup, which was a very expensive delicacy that few could afford. Instead of containing turtle flesh as its primary ingredient, mock turtle soup contained calf meat (veal), taken especially from those parts of a calf that were otherwise usually discarded, i.e. the head, hooves, and tail, and which therefore cost a lot less to produce than real turtle soup. Suddenly, all became clear. His fondness for humorous word games, puns, and other literary trickery had clearly inspired Carroll to dream up a character that was then playfully put forward by him when recounting his story as the (non-existent) creature from which was derived a certain very common veal-containing dish from his time whose memorable name would be familiar to his young listeners and thus make them laugh – namely, mock turtle soup. That was why the Mock Turtle had a turtle's shell and front flippers but a calf's head, hind limbs, and tail – with typically witty Carrollian absurdity, it was the visual embodiment of what mock turtle soup pretended to contain (turtle) and what it actually did contain (the calf elements listed above). One further feature that was a major component of the Mock Turtle was its extremely lugubrious, sobbing demeanour. 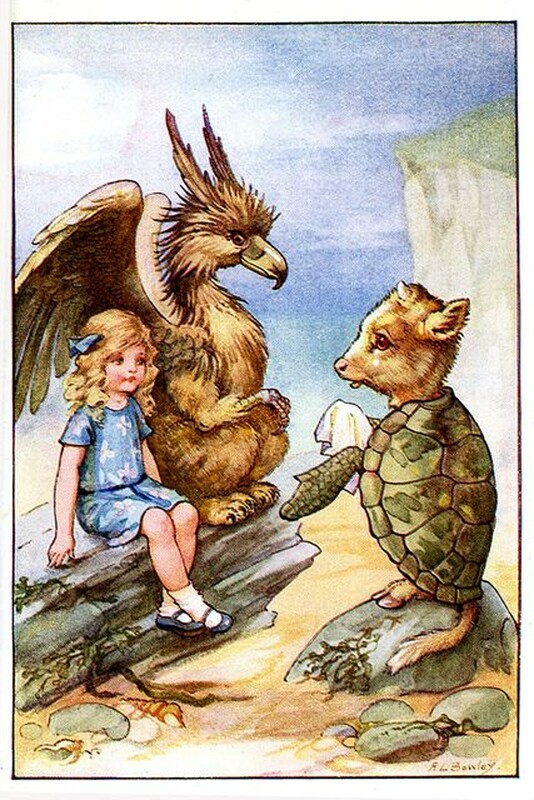 When Alice asked the Gryphon why his chelonian companion was so sorrowful, the Gryphon replied very dismissively that it was "all his fancy", that he didn't actually have any sorrow. 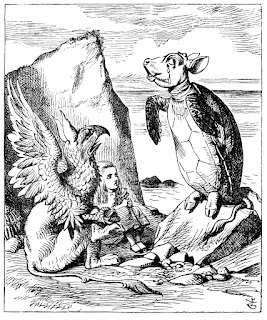 Yet because the Mock Turtle briefly mentioned that he had once been a real turtle (but without providing any clues as to why he no longer was), there has been much speculation among Carrollian scholars as to whether this was the reason for his tearful melancholia, coupled perhaps with what may have been a poverty-stricken upbringing (when recounting his history to Alice, the Mock Turtle intimated that he was poor when young, revealing that he couldn't afford to study any extra subjects at school, only the regular ones). As a wildlife enthusiast from the earliest of ages, however, it occurred to me a long time ago that a more likely origin for this particular characteristic of the Mock Turtle was that real turtles, which are all exclusively marine in the strict definition of the term 'turtle' traditionally employed in British English, rid their bodies of excess salt (derived from drinking seawater) by excreting it in the form of salty tear-like exudation trickling from glands near to their eyes, so that they look very much as if they are weeping profusely. 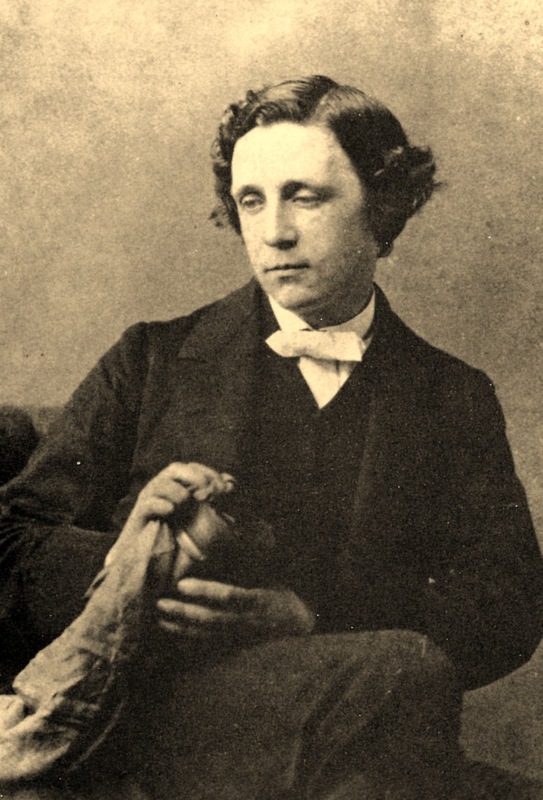 Quite apart from being a mathematician and storyteller, Carroll was also a keen amateur naturalist (and is known to have made a particular study of those animals featuring in his Alice novels to ensure that his accounts of them were accurate). 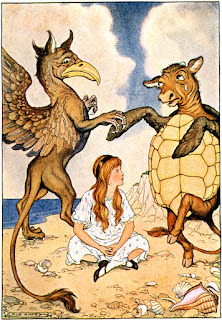 Consequently, he was assuredly aware of this specific behavioural occurrence in turtles, and had cleverly incorporated it with altered meaning into the Mock Turtle's persona, transforming it from a practical osmoregulatory activity into an entirely anthropomorphic emotional outpouring instead. More than 150 years have passed since the Mock Turtle was introduced to the world in AAIW, and it has been depicted by over 70 artists within the numerous illustrated editions that have been published since the original one from 1865, containing Tenniel's drawings. 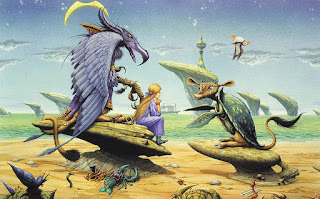 It has also appeared in a considerable number of films and TV adaptations, in which it has been played by the likes of Cary Grant, Sir John Gielgud, Sir Michael Hordern, Donald O'Connor, Gene Wilder, and Ringo Starr, as well as being voiced by Alan Bennett in the 1985 film Dreamchild. 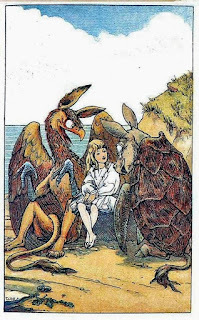 What is particularly interesting, however, is that whereas earlier portrayals generally retained its appearance as originated by Tenniel following Carroll's instructions to him, there have been various later depictions that have strayed significantly from this. 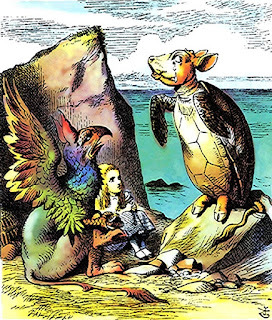 Moreover, the way in which they have strayed seems to indicate that those responsible may not have realised why this character's appearance was what it was in the original book, thereby, albeit inadvertently, making a veritable mockery of the Mock Turtle. 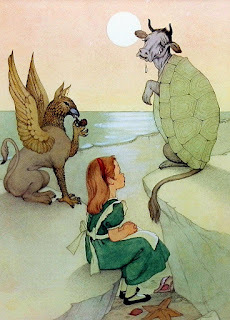 The reason for my suspecting this to be the case is that the Mock Turtle has sometimes been depicted not as a half-turtle half-calf composite, but merely as a normal, ordinary turtle, i.e. with not just a turtle's body shell and front flippers but also a turtle's head, hind flippers, and tail – thereby entirely missing the etymological significance and origin of this Carrollian character. After all, if the Mock Turtle is presented as being exactly the same in appearance as a genuine turtle, how can the term 'mock' be justifiably applied to it? 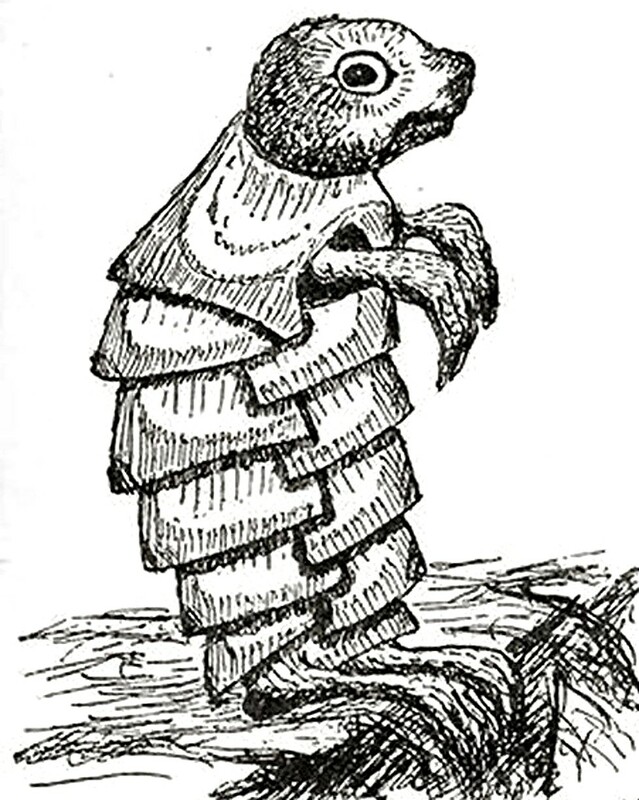 Equally, the crucial fact that it was specifically created by Carroll as the creature from which mock turtle soup is supposedly derived is wholly concealed visually if it is depicted simply as a totally normal-looking turtle. Consequently, I can only assume that those who have produced these latter images do not know about mock turtle soup. In a different but no less bizarre vein, I have also seen the Mock Turtle portrayed with the head, trotters, and curly tail of a pig, which if anything makes even less sense than depictions of it as a genuine turtle! 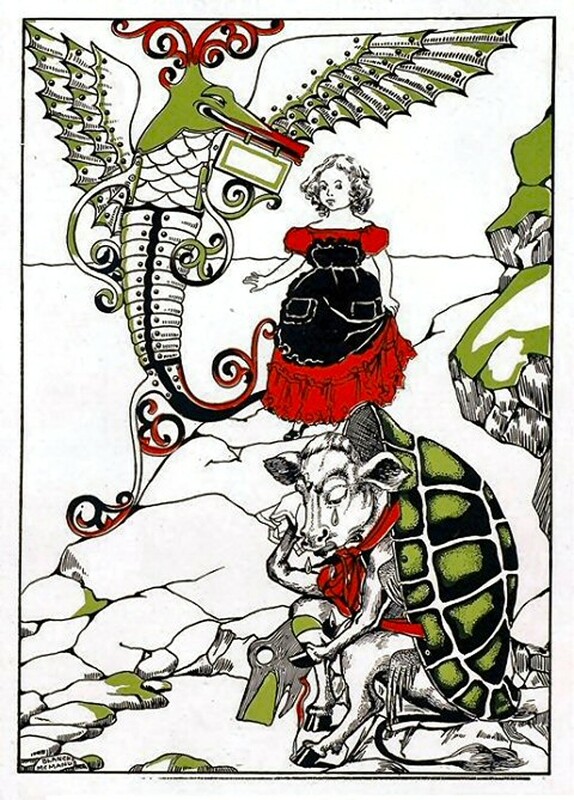 Today, the Mock Turtle's fame stretches far beyond the confines of Carroll's beloved novel, appearing in a number of works by other authors inspired by Wonderland and its many strange but memorable inhabitants. 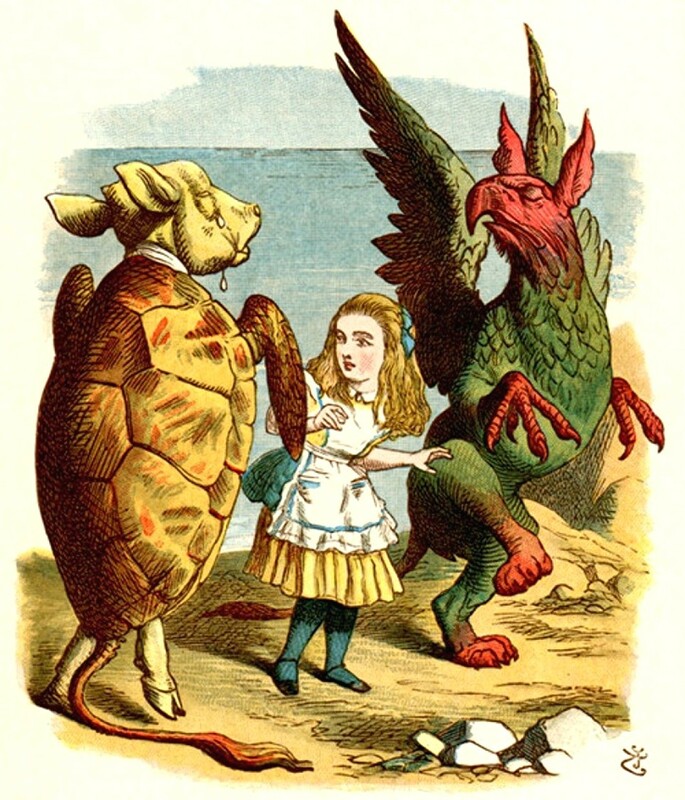 As noted earlier, it features in many movie and TV dramatisations of AAIW too, as well as in various songs, and it has even lent its name to a popular Indie rock band, The Mock Turtles, hailing from Greater Manchester, England. 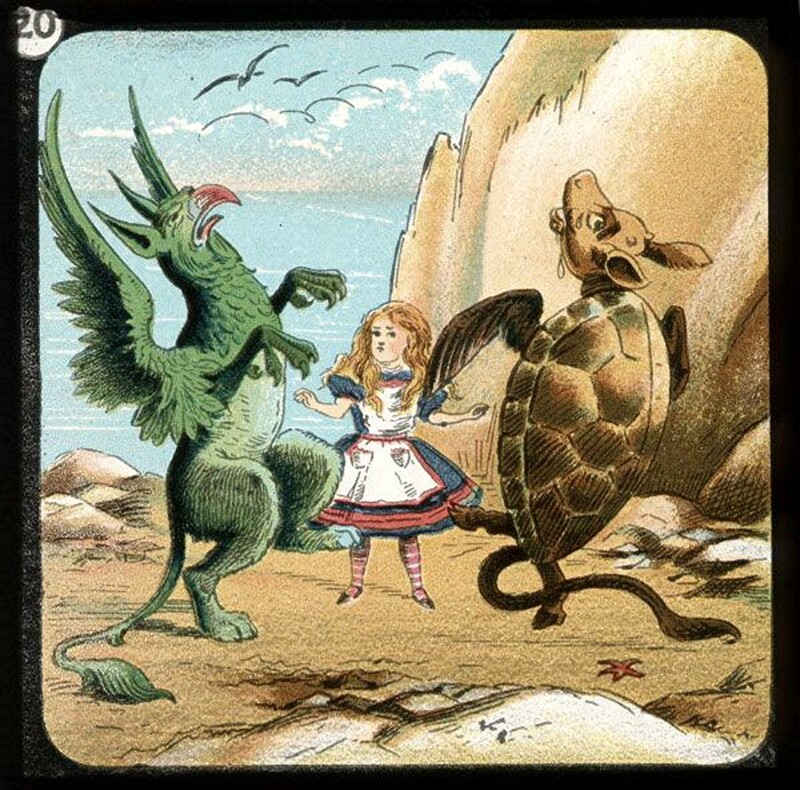 Nevertheless, at least for me there is one major disappointment associated with this memorable character – that it didn’t appear in Walt Disney's very colourful, classic animated film, Alice in Wonderland, first released in 1951. 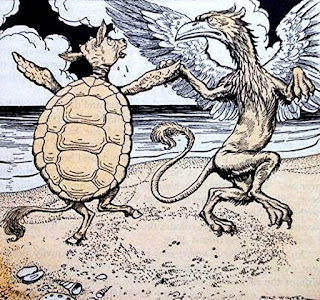 Very recently, however, I was most interested to discover that in fact, along with the Gryphon, the Mock Turtle had indeed been due to feature in it. 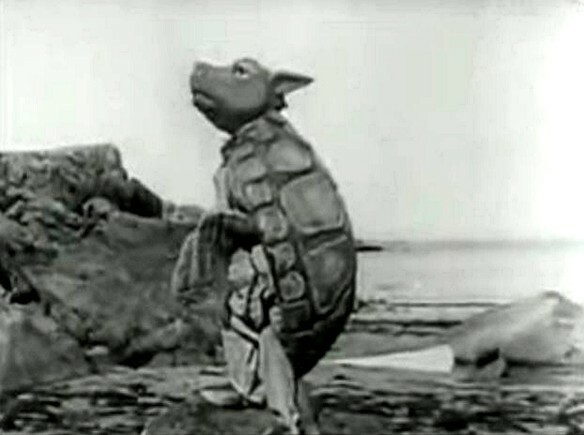 In fact, cartoon versions of their characters had been produced, and were scheduled to appear in one scene, with the Mock Turtle even singing two specially-penned songs ('Beautiful Soup', sung to the tune of 'The Blue Danube', and 'Will You Join The Dance? ', based upon the 'Lobster Quadrille' poem recited by this character in the novel'). Just before the film's completion, however, their scene and songs were axed. Happily, though, all was not entirely lost, because later on in the 1950s Disney produced an animated Wonderland-based commercial for Jell-O gelatin desserts in which the Mock Turtle and Gryphon did feature, together with Alice. Even so, failing to make the final cut in one of Disney's most delightful animated films would be enough, surely, to make anyone cry, let alone someone as famously weepy as the mournful Mock Turtle! To read a previous ShukerNature blog article concerning another of my favourite AAIW animal characters, the iconic and decidedly idiosyncratic Cheshire Cat, please click here. 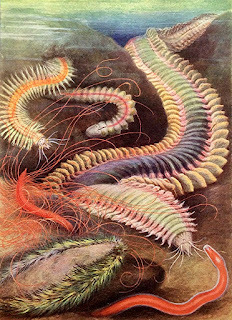 SHEDDING LIGHT ON (AND BY) THE SEA MOUSE - FURRY BODY BUT LOTS OF LEGS! In recent times, several correspondents have drawn my attention to a brief video clip in gif format circulating widely online (view it here, for instance, where it was posted on 4 September 2016). 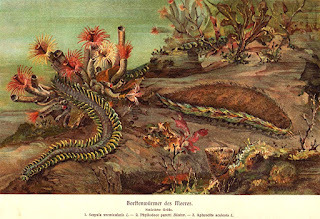 The source of the photo-still that opens this present ShukerNature blog article, the video clip showcases in close-up a most intriguing sea creature, not very big but very distinctive nonetheless. No information accompanies the clip, however, so what could the animal be? Many different identities have been proposed online, some decidedly imaginative, but in reality this putative cryptid is merely a polychaete worm, and may well be allied to a particular favourite one of mine - namely, a certain many-legged mouse mimic from the marine world, and to which the remainder of this article is now devoted. In stormy weather, the sea may throw up onto coastal beaches a truly amazing little saltwater denizen that often fools the unwary observer. At first sight, it resembles a large, fat, wet mouse, around 4-8 in long and 3 in wide, covered in what looks like soft greyish-brown fur. And as it creeps across the sand, it moves quite like a mouse too. Yet closer observation will reveal that it does not have any kind of readily recognisable head. Nor does it have a real mouse's familiar long thin tail. The biggest surprise will come, however, if the observer should attempt to pick up this animal, because if he does, and then turns it over onto its back, an incredible surprise will be exposed. Instead of having just four legs, this amazing animal has lots and lots - all in pairs that run down the whole length of its body. Moreover, it has a pair of short tentacles at the front of its body, and its two eyes are on stalks. For this is not a mouse at all, but is actually a truly extraordinary type of polychaete sea worm. Instead of being long and very thin like many such worms, however, it is squat and fat, and because of its deceptively mouse-like fur and movements, it is known scientifically as the sea mouse. 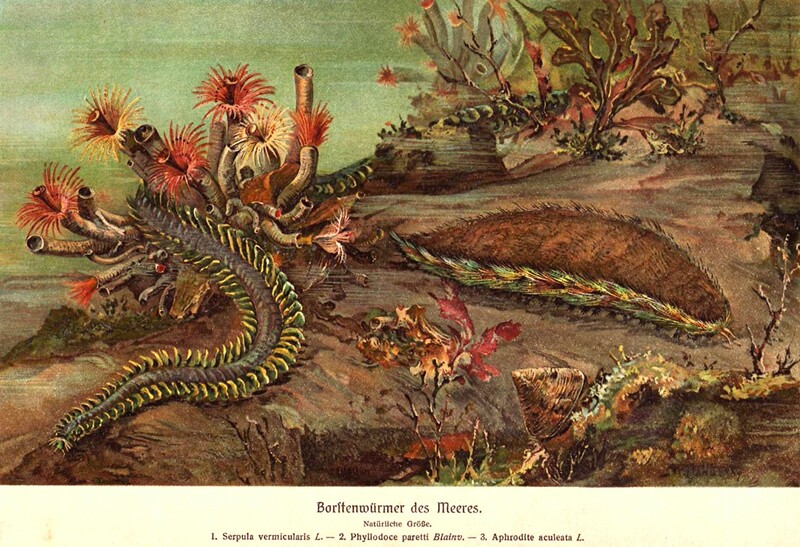 There are many species, most of which belong to the genus Aphrodita, and frequently occur in the North, Mediterranean, and Baltic Seas, and in the Atlantic Ocean. The most familiar species, and the one described and dealt with predominantly by me here, is the common sea mouse Aphrodita aculeata, which is regularly encountered around Britain's coasts. Also well known is the southern sea mouse A. australis, but this aptly-named species exists much further afield, being native to coastal waters around southern Australia and New Zealand. Belonging to the polychaete class of annelids or segmented worms, the sea mouse's closest relatives include the lugworm, the fanworms, and the many-legged ragworms that live in the sea, and under normal conditions it lives in burrows in shallow coastal waters, but some specimens have also been found at depths of almost 10,000 ft. And whereas mammalian mice are generally herbivorous, this marine namesake is an active nocturnal carnivore, remaining half-buried in sand and devouring unsuspecting small crabs and even other polychaete worms that stray within its predatory reach, including specimens much longer than itself. As for the sea mouse's 'fur', this is actually a mass of soft felt-like bristles called setae, covering several pairs of scales that in turn cover its back. These scales protect its gills, with which it breathes, extracting oxygen from water pumped by its own muscular activity into its burrow, and the setae prevent the gills from becoming clogged with sand. The setae at the edges of the sea mouse's body are normally deep-red, not greyish-brown like those on its back, but they will gleam brightly with vivid blue and green stripes whenever sunlight falls directly upon them – a spectacular structural colouration effect achieved by numerous hexagonal cylinders within these peripheral setae, and performing far more efficiently than man-made optical fibres, as revealed by research published in 2012. Moreover, this very eyecatching activity in turn constitutes a highly effective defence mechanism, because it startles and thereby warns off potential predators of the sea mouse – all of which is something that not even the fur of the cleanest mammalian mouse can ever accomplish! AFTER EIGHT YEARS OF SHUKERNATURE THE BLOG, A FIRST GLIMPSE OF SHUKERNATURE: THE BOOK! Due to some recurrent internet-connection problems during the past few days, I omitted to mark a memorable day in the history of my ShukerNature blog – its eighth anniversary, which occurred on 20 January 2017. So, better late than never, I am doing so now – by presenting herewith the very first sneak preview of my next book, which is none other than the long-awaited, long-promised compendium of some of my blog's most unusual and popular articles. 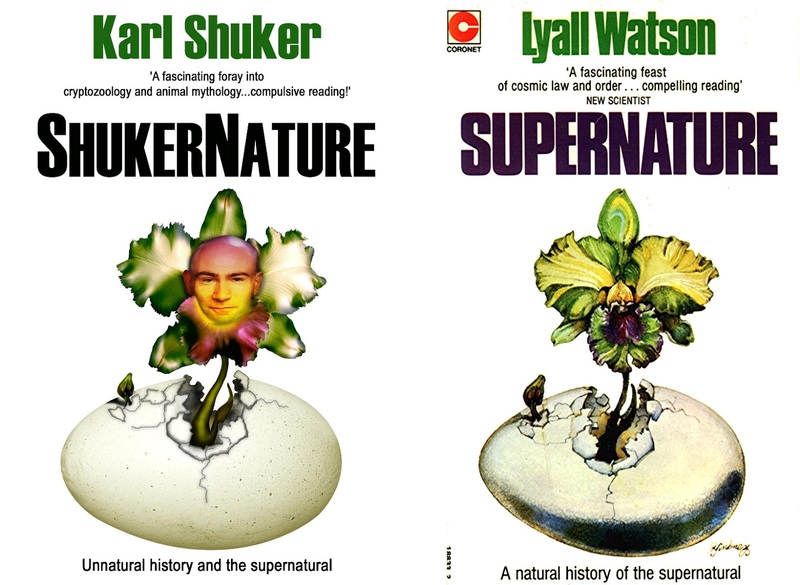 Or, to put it another way – welcome to ShukerNature: The Book - or, to give it its full title, ShukerNature Book 1: Antlered Elephants, Locust Dragons, and Other Cryptic Blog Beasts. 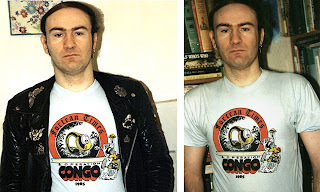 My blog was scarcely two years old when, after asking among my many Facebook friends and colleagues whether a compilation volume of some of my blog articles would be of interest to them, I received a resoundingly positive response. And so I began planning it accordingly, alongside various other writing projects. However, as sometimes happens, life – and death – had other plans for the direction in which my future would take. Or, as my wise little Mom used to remind me gently if I railed against my dreams and ambitions faltering or falling into disarray: "Man proposes, but God disposes" (which is a translation of the Latin phrase 'Homo proponit, sed Deus disponit', from Book I, chapter 19, of The Imitation of Christ by the German cleric Thomas à Kempis). 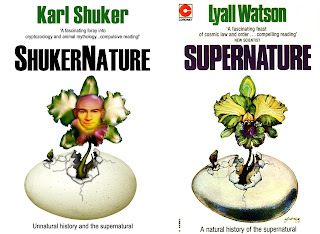 And so it was that my ShukerNature book was set to one side, and other projects that for one reason or another needed to take precedence were duly completed and published in its stead. Notable among these were my second, long-planned, and extremely comprehensive dragons book – Dragons in Zoology, Cryptozoology, and Culture; a wide-ranging compilation of my most notable Loch Ness monster writings – Here's Nessie! 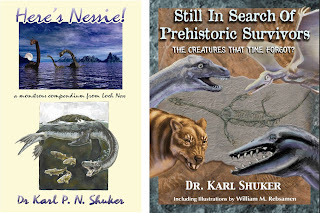 ; and of course my massively-enlarged, fully-updated prehistoric survivors book – Still In Search Of Prehistoric Survivors. These are all now published, and in the meantime the very many additional blog articles that I have continued to research, write, and post each year have provided me with an immensely expanded list of possible examples to include in my eventual ShukerNature compendium. And now, at last, much of this book is indeed written – all of the main text, in fact, barring any last-minute changes or additions – and it will be published later this year. 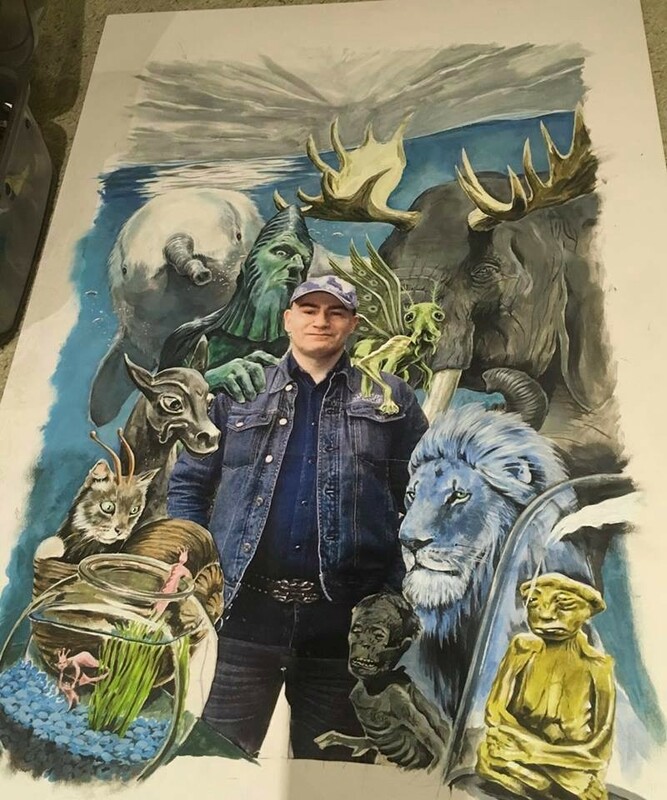 Moreover, I am both thrilled and delighted that its front cover artwork is being produced by none other than a longstanding Facebook friend who is also a brilliant artist – Anthony Wallis. 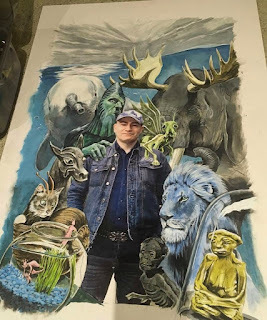 I am very lucky that no fewer than three of my previous books' front covers are graced by spectacular artwork that has been either produced (two) or co-produced (one) by Ant. Namely, Mirabilis (2013), The Menagerie of Marvels (2014), and Here's Nessie! (2016) (this last-mentioned book's front cover featuring both a very vibrant long-necked seal reconstruction of Nessie by Ant and a beautifully evocative plesiosaurian monsters by moonlight scene by Wm Michael Mott). 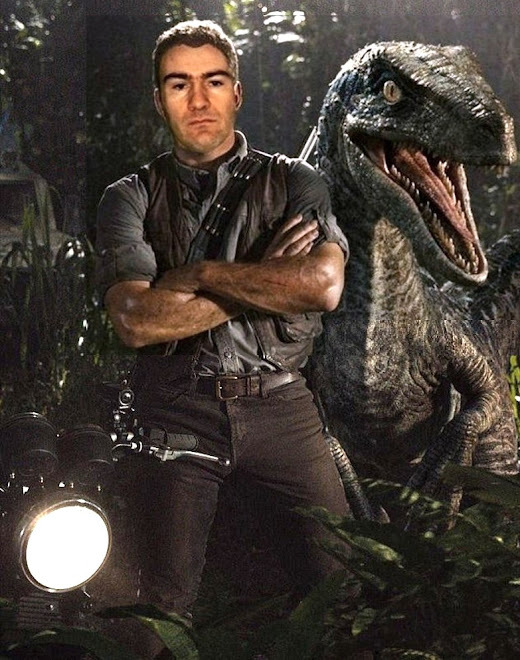 I was recently interviewed by Matt Cook from The Curious Fortean on a wide range of interesting subjects – from classic cryptids such as Nessie and the Congolese mokele-mbembe to the little loriciferan that was named after me, the prestigious Golden Yeti awards bestowed upon me a month ago for my contributions to cryptozoology, and much else besides. You can read the interview in full here, on The Curious Fortean's blog, and also be sure to check out the official Facebook group for The Curious Fortean here. My sincere thanks to Matt for interviewing me and for posing such a fascinating series of thoughtful, insightful questions. Also, be sure to check out my two most recent books – Still In Search Of Prehistoric Survivors and Here's Nessie! A Monstrous Compendium From Loch Ness – both of which are referred to in this interview. 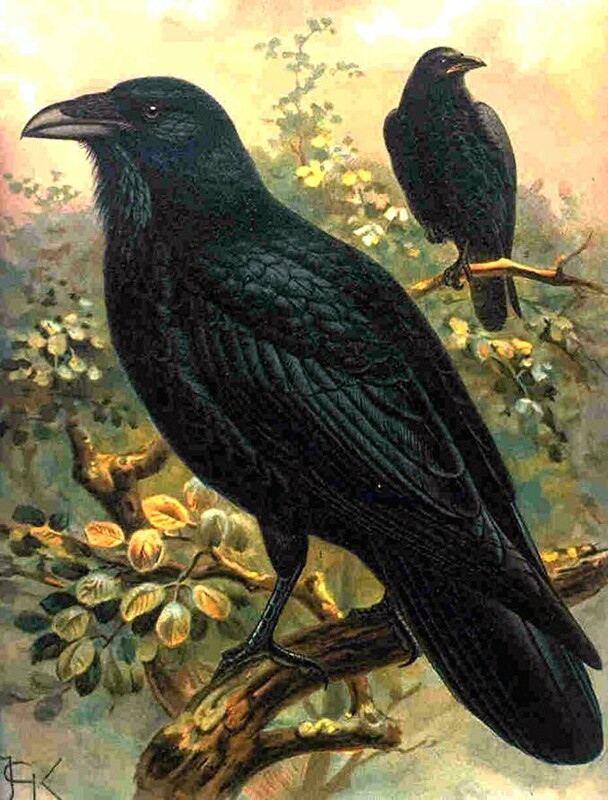 ARE GIANT FLIGHTLESS RAVENS SOMETHING TO CROW ABOUT IN CANADA? What better way for ShukerNature to begin 2017 than with a hitherto little-known mystery beast – so here is one right now! On 28 March 2012, French cryptozoological correspondent Raphaël Marlière kindly brought to my attention the following intriguing report that he'd recently seen on the Cryptodominion website (click here). It may well be mere folklore - then again, it just might be something more. According to Cryptodominion, loggers who have worked in the interior of British Columbia, Canada, assert that an isolated, timber-rich valley exists here that is inhabited by huge ravens, bigger even than golden eagles, but virtually flightless, and further distinguished from normal ravens Corvus corax by their tail plumage, which exhibits a noticeable amount of red pigmentation. Apparently, these mystery red-tailed mega-corvids are very dangerous and opportunistic, not hesitating to wreck a campsite. Lumberjack folklore is renowned in North America for its tall tales of exotic fauna (variously dubbed fierce or fearsome critters) – everything from fur-bearing trout to spiky-furred cactus cats – so this may simply be a less familiar variant. Nevertheless, if anyone out there has any additional information concerning such birds, I'd be very interested to receive details.